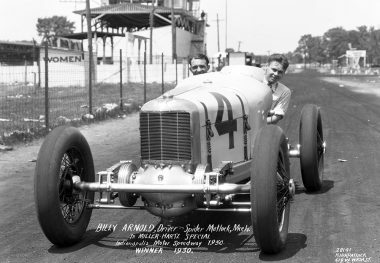 BILLY ARNOLD was by far the most outstanding driver of the early 1930s. 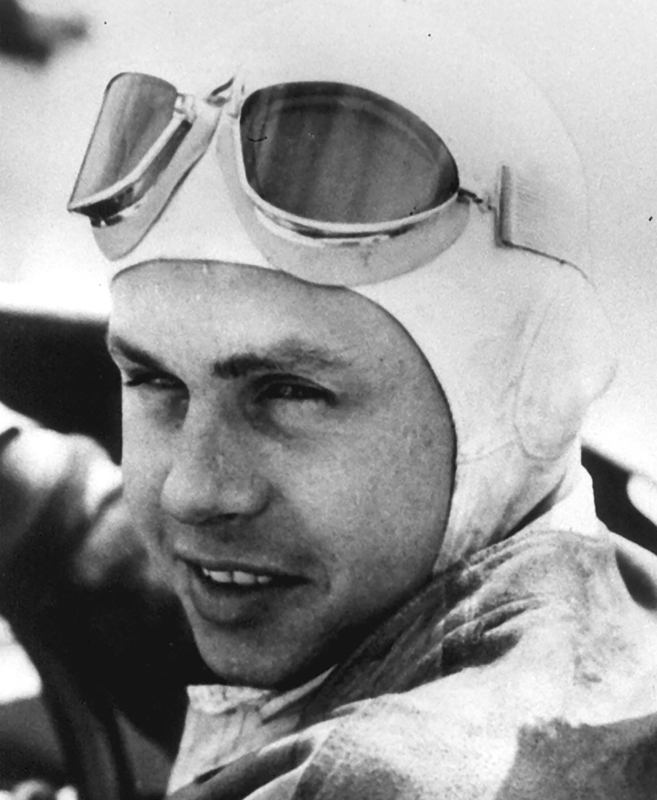 He started the decade by winning the Indianapolis 500 and the American Automobile Association National Championship in 1930. During a three-year period from 1930 to 1932, he led almost every lap he completed at Indianapolis. 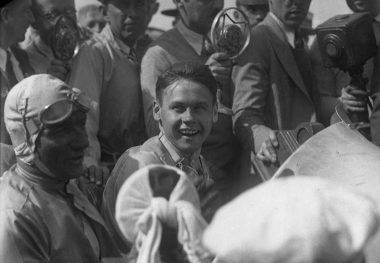 Starting from the pole in 1930, he took over on the third lap and was never challenged during the final 198, winning by a large margin. 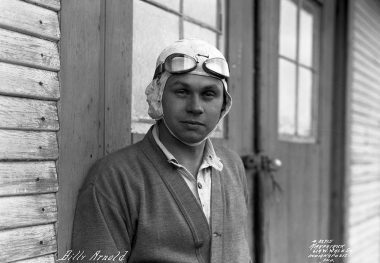 The fastest qualifier in 1931, Arnold was forced to start in 18th position after his original run was disallowed. However, he gained the lead on lap seven and was far ahead when eliminated by an accident at lap 162. Starting second in 1932, he led all but the first lap and was leading comfortably when he hit the wall trying to avoid a spinning car on lap 62. During that three-year period, he led almost 98 percent of the laps he completed (410 out of a possible 420). 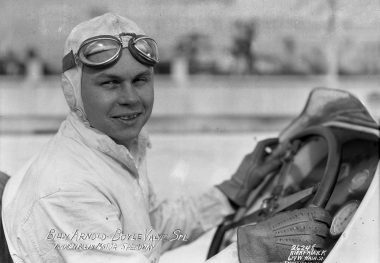 Arnold also won three out of eight National Championship races in 1930 with a pair on the Altoona, Pennsylvania, board track bolstering his Indianapolis 500 win. During World War II, he served as Chief of Maintenance for the Eighth Air Force at Burtonwood Air Base in England, attaining the rank of lieutenant colonel. He later became a prominent building contractor in Oklahoma City.